We’re proud to launch three new family trails for Stormont Estate, launched Saturday 21st April. 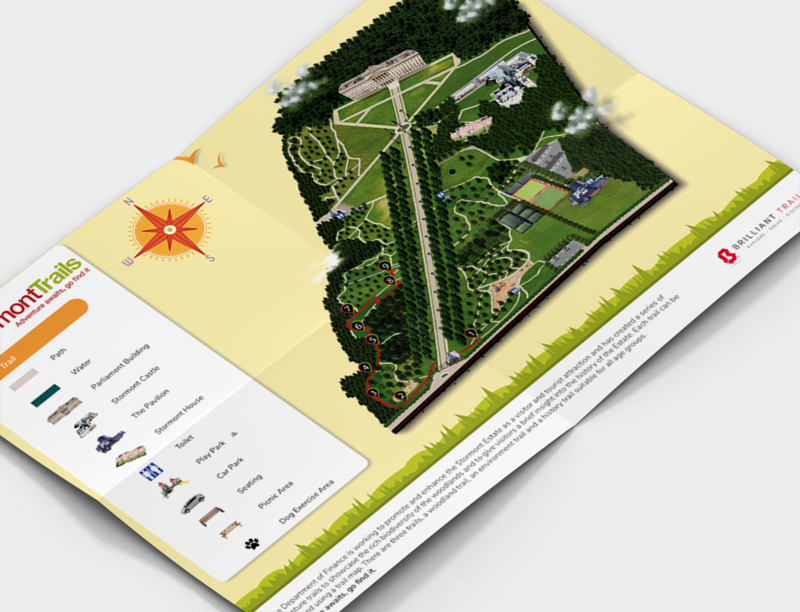 The Stormont interactive trails are for your family, group or just yourself to enjoy. Navigate around the beautiful woodland on the Environmental Trail, learn some interesting facts on the History Trail or find some of our wooden friends or fairies on the Woodland Trail. Available free of charge just of the main Newtownards Road, loads of free parking and don’t forget to take the younger ones into the adventure park. Each trail lasts around 30minutes, suitable for all ages, pushchair friendly and toilets located close by. You can pick up your free interactive trails inside the main gates just off the Newtownards Road. Choose from the environmental trail, history trail and our fun woodland trail. 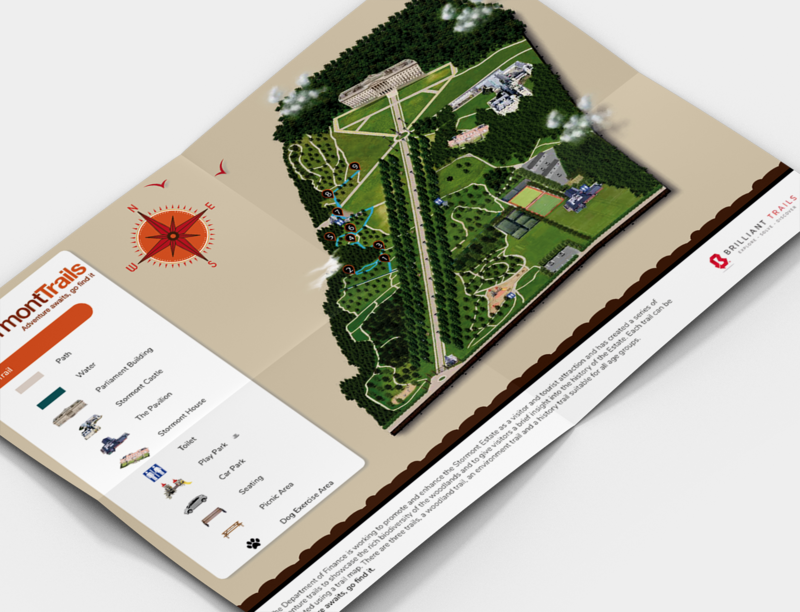 For more information or to download the trail map prior to attending, click here. View the design of each trail below!